For those of you unfamiliar with Ithaca, the wintry weather continues well into March. Here are some pictures. 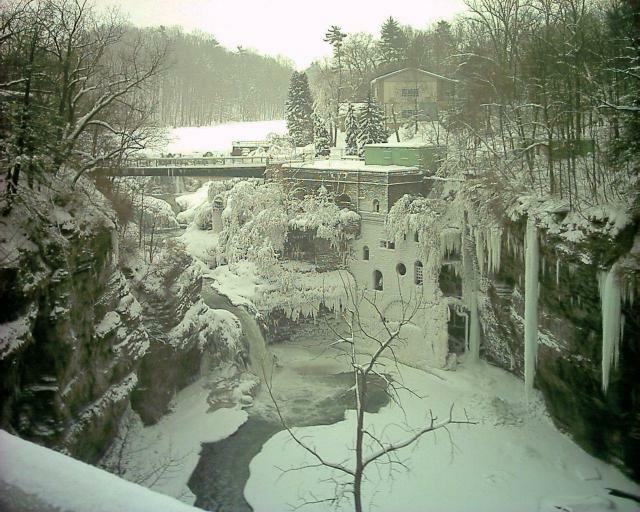 OK, I am cheating here, this is actually Triphammer Falls in early February. But I hadn't downloaded the pictures off my camera until now. Quite wintry looking though, isn't it? 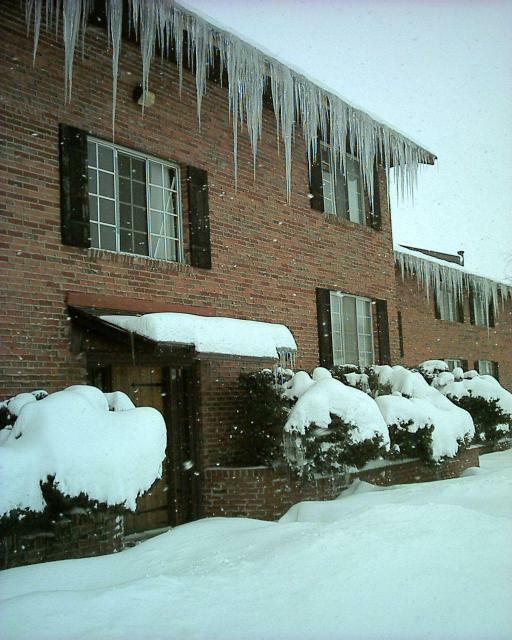 Every day is frought with peril as I get to walk under some scary icicles. 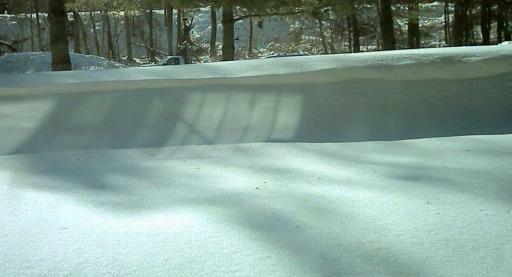 The giant snow drift was late in arriving this year. Oddly, most of it was formed during a storm where we only got a few inches of snow, but high winds quickly built up an impressive pile in the lee of my apartment building.